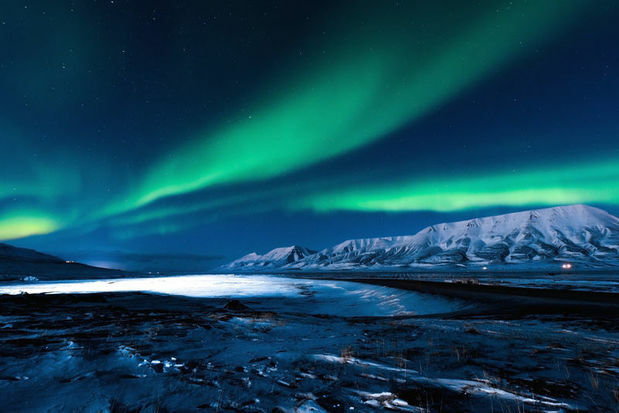 Understandably, the Northern Lights are often found right at the top of bucket lists. 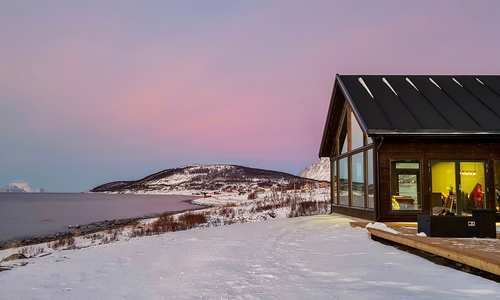 And, in typical Scandi fashion, the Nordic Regions offer a full spread of creative ways to experience them, from glass igloos to glamping in the Arctic Circle. Here are our top picks. Each has been handpicked by our Northern Lights experts, having tried and tested them all. With design delights like this, it’s no wonder that Scandinavia has built such a fierce reputation for innovation. Hidden away in the depths of Finnish Lapland, there’s collection of igloos, complete with anti-fog glass domes and motorised beds. They’re surely the most romantic way of experiencing the Northern Lights, with their position on a remote fell offering a superb vantage point. Our itinerary has paired also paired them with nights spent in a cosy pine cabin, offering the chance to enjoy wilderness cooking lessons, husky sledding and cross country skiing. There’s also plenty of opportunity to indulge with that most Finnish of traditions – the sauna. Svalbard, that great wilderness island flung out into the Arctic Ocean, is perhaps the most memorable setting for Philip Pullman’s works. So, in honour of His Dark Materials, we’ve created a holiday that showcases the best of it all. You’ll dogsled through icy trails, discover ice caves hidden in mighty glaciers and spend a night around the campfire, looking out for the Northern Lights. Of course, there’s also plenty of opportunity to spot the archipelago’s most famous residents – the polar bears. There are more of them than people. For an authentic wilderness adventure, look no further than the Aurora Safari Camp. Formed of just three, fire-heated lavvu tents, it’s tucked away among a stand of trees on the shores of a frozen river, looking up at a snow-capped mountain range. It’s all tucked away in the heart of Swedish Lapland, perfectly remote and, far from any light pollution, ideal for Northern Lights viewing. You’ll also be able to channel your inner explorer with the likes of snowmobiling, dogsledding and snowshoe walks, spotting the likes of moose, reindeer and red fox as you go. There’s something delightfully romantic about train travel. And, the Polar Express is a perfect example – the Norwegian rail journey that sweeps up into the Arctic Circle. 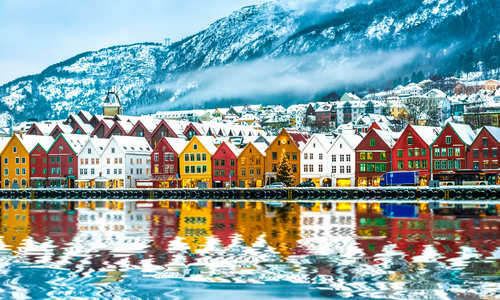 Departing from Trondheim’s Gothic treasures, you’ll trace cragged fjords and dive into colossal valleys to reach Bodø. As the northern terminus of Norway’s railway network, it’s ideal for mountain hikes, fishing trips and, yes, the Northern Lights. On our route, it’s the departure point for a cruise to the Lofoten Islands – an archipelago of majestic beauty. It’s a little-known secret that the Northern Lights come out as early as August. And, come autumn, the trees follow suit with kaleidoscope colours of their own, while milder weather opens up a whole raft of activities. There’s everything from river rafting, reindeer hikes and salmon fishing to mountain biking and campfire cookouts under the auroras. 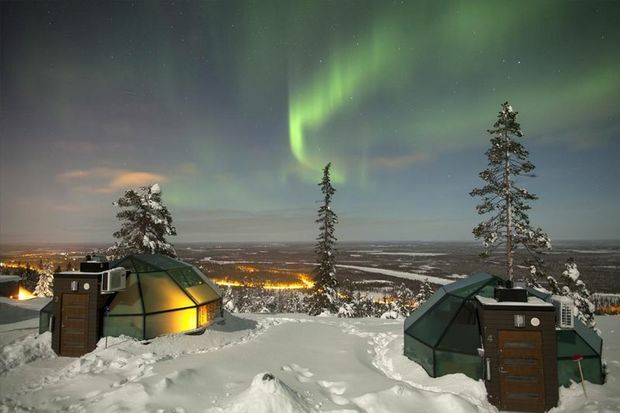 On our curated itinerary, we’ve included two of our favourite excursions along with a night in an Aurora Dome – a luxury igloo tent. 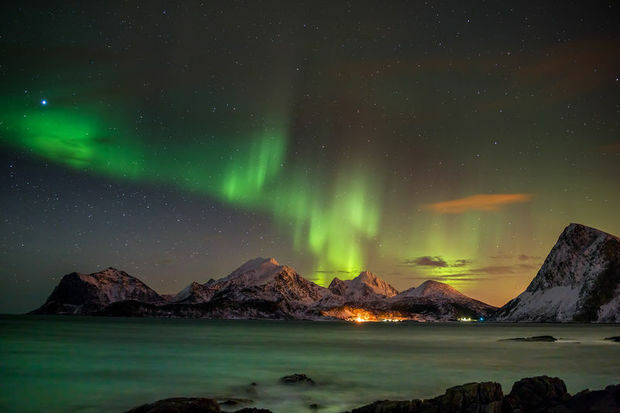 Thanks to direct flights from London and its position in the centre of the Aurora Zone, Tromso has become a favourite among Northern Lights hunters. 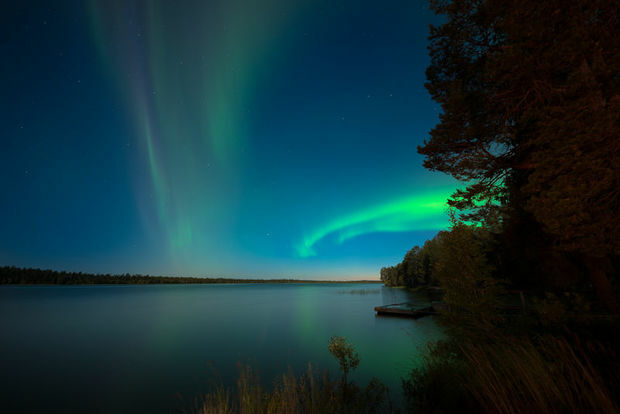 So, once you’ve tired of its superb seafood, welcoming pubs and fascinating museums, husky sledding trips, snowmobile safaris and whale-watching cruises can bring you out in search of the twirling aurora. But, it’s perhaps the city’s latest offering that’s most interesting. 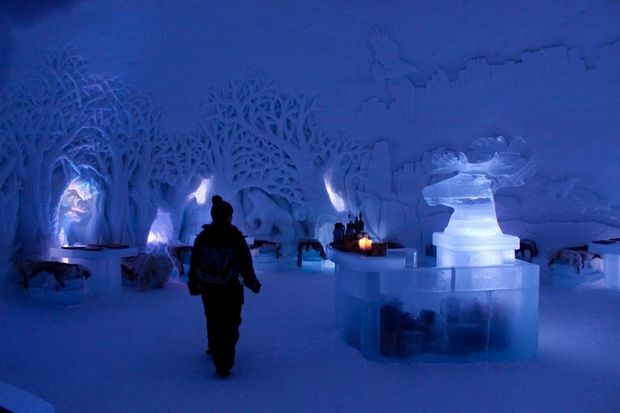 At the Tromso Ice Domes you’ll be treated to an ice shot on arrival, a tour of the domes themselves and meal served in an ice restaurant hewn into shimmering sculptures and friezes. It’s all, hopefully, lit by the sweeping Northern Lights. 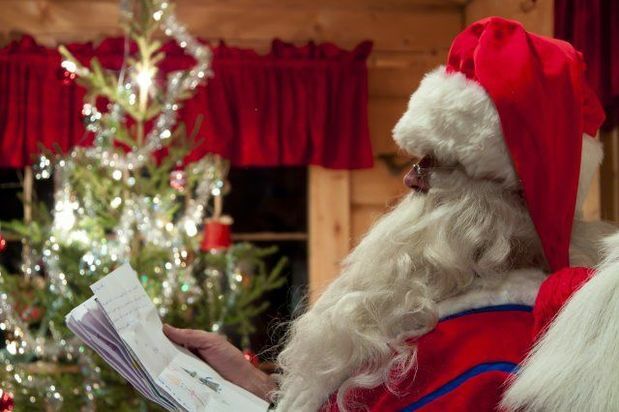 It’s the ultimate festive holiday – a trip to meet Father Christmas in Finnish Lapland. And, on our trip, you’ll stay in a cosy log cabin, visit a reindeer farm, climb aboard snowmobiles and dart through a winter wonderland pulled by a team of huskies. Adults will even enjoy access to the superb Arctic Spa. It all culminates with a visit to the man himself, followed – of course – by a sled ride through the forest. Be sure to keep your eyes on the night’s sky for a glimpse of those all-important Northern Lights. Perhaps the most innovative way to spot the Aurora Borealis, this unique excursion sees you channel your inner adventurer, donning a top-of-the-range drysuit to plunge into an icy lake. Then, remaining toasty and warm despite sub-zero temperatures, you’ll lie back in wait for the world’s most spectacular visual display. 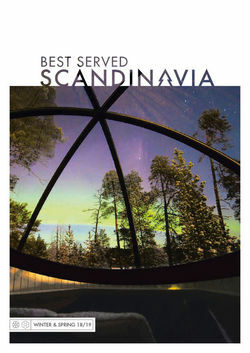 Well inside the Artic Circle and far from any light pollution, you’ll be perfectly positioned for the finest of shows. In all, it’s a truly evocative experience, veering on the out of body. 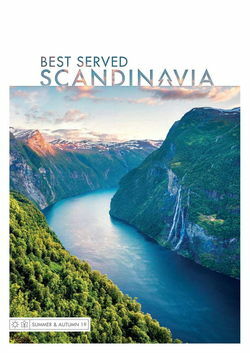 Having started life as postal ships in the late 19th century, Hurtigruten now takes passengers on the same sublime routes, mapping Norway’s cragged coast on their journey north. 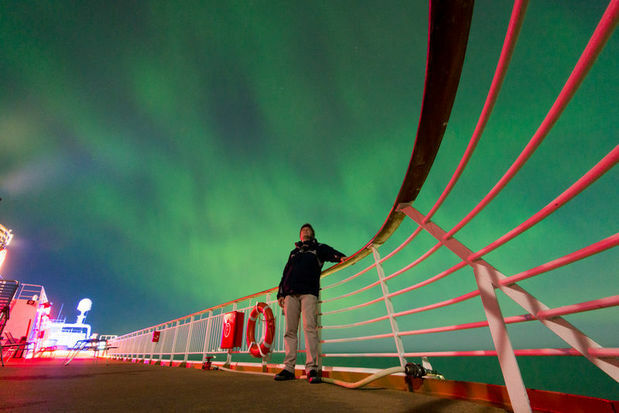 On their classic Northern Lights cruise, you’ll dip in and out of giant fjords, pause at remote frontier towns and wind between mountainous islands to cross into the Arctic Circle. There’s also time to take in the cutting-edge architecture of Tromso’s Arctic Cathedral. What’s more, talk to your consultant about the “Northern Lights guarantee”. Many sailings offer another voyage entirely free of charge if your first misses out the aurora’s display. 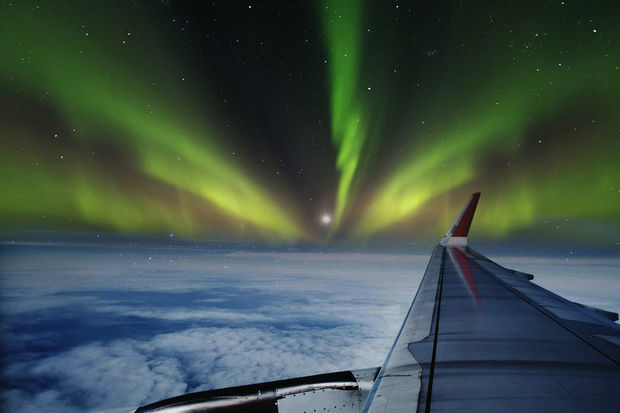 If you’re lucky, simply choosing the window seat on a flight might be enough to provide sublime views of the Northern Lights. The flight to Iceland offers the best chance; be sure to book a seat on the right-hand side on the way out and on the left for the way back. And, even if you’re just hopping over on a city break, Reykjavik’s buzzy nightlife and 18th-century charm is the perfect launchpad for whale cruises and trips out to giant geysers, spectacular waterfalls and the famous Blue Lagoon.